Doncaster Rovers win 3-2 on penalties. Match ends, Bristol Rovers 1, West Ham United U21 3. Second Half ends, Bristol Rovers 1, West Ham United U21 3. Corner, West Ham United U21. Conceded by Stuart Sinclair. Attempt blocked. Daniel Kemp (West Ham United U21) right footed shot from the centre of the box is blocked. Substitution, West Ham United U21. Jahmal Hector-Ingram replaces Antonio Martínez. Alex Pike (West Ham United U21) wins a free kick on the left wing. Foul by Byron Moore (Bristol Rovers). Domingos Quina (West Ham United U21) wins a free kick in the attacking half. Attempt missed. Domingos Quina (West Ham United U21) right footed shot from outside the box misses to the right. Attempt blocked. Nathan Holland (West Ham United U21) right footed shot from the centre of the box is blocked. Goal! Bristol Rovers 1, West Ham United U21 3. Antonio Martínez (West Ham United U21) right footed shot from the centre of the box to the centre of the goal. Substitution, West Ham United U21. Daniel Kemp replaces Sead Haksabanovic. Substitution, West Ham United U21. Grady Diangana replaces Martin Samuelsen. Ryan Sweeney (Bristol Rovers) wins a free kick on the right wing. Foul by Domingos Quina (West Ham United U21). Corner, West Ham United U21. Conceded by Sam Slocombe. Attempt saved. Antonio Martínez (West Ham United U21) right footed shot from the right side of the box is saved in the bottom right corner. Kenan Dunnwald (Bristol Rovers) wins a free kick in the defensive half. Foul by Alex Pike (West Ham United U21). Cameron Hargreaves (Bristol Rovers) wins a free kick in the attacking half. Substitution, Bristol Rovers. Cameron Hargreaves replaces Ryan Broom. Substitution, Bristol Rovers. Kenan Dunnwald replaces Tom Nichols. Conor Coventry (West Ham United U21) wins a free kick in the defensive half. Dominic Telford (Bristol Rovers) wins a free kick in the attacking half. Ryan Broom (Bristol Rovers) wins a free kick in the defensive half. Attempt blocked. Nathan Holland (West Ham United U21) right footed shot from outside the box is blocked. Attempt missed. Tom Nichols (Bristol Rovers) right footed shot from outside the box is high and wide to the left. Goal! 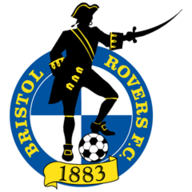 Bristol Rovers 1, West Ham United U21 2. Martin Samuelsen (West Ham United U21) right footed shot from the centre of the box to the bottom right corner. Corner, West Ham United U21. Conceded by Daniel Leadbitter. Second Half begins Bristol Rovers 1, West Ham United U21 1. First Half ends, Bristol Rovers 1, West Ham United U21 1. Corner, Bristol Rovers. Conceded by Declan Rice. Goal! Bristol Rovers 1, West Ham United U21 1. Antonio Martínez (West Ham United U21) converts the penalty with a right footed shot to the centre of the goal. Penalty West Ham United U21. Ben Johnson draws a foul in the penalty area. Penalty conceded by Ryan Broom (Bristol Rovers) after a foul in the penalty area. Attempt missed. 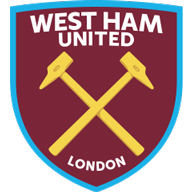 Domingos Quina (West Ham United U21) right footed shot from the left side of the box is close, but misses to the left. Josh Pask (West Ham United U21) wins a free kick on the left wing. Foul by Dominic Telford (Bristol Rovers). Attempt saved. Antonio Martínez (West Ham United U21) right footed shot from outside the box is saved in the bottom left corner. Corner, Bristol Rovers. Conceded by Ben Johnson. Attempt saved. Dominic Telford (Bristol Rovers) right footed shot from outside the box is saved in the top centre of the goal. Foul by Martin Samuelsen (West Ham United U21). Ryan Sweeney (Bristol Rovers) wins a free kick in the attacking half. Martin Samuelsen (West Ham United U21) wins a free kick in the defensive half. Foul by Jonathan Burn (Bristol Rovers). Jonathan Burn (Bristol Rovers) is shown the yellow card for a bad foul. Foul by Ben Johnson (West Ham United U21). Ryan Broom (Bristol Rovers) wins a free kick on the left wing. Attempt saved. Conor Coventry (West Ham United U21) right footed shot from outside the box is saved in the top centre of the goal. Domingos Quina (West Ham United U21) wins a free kick in the defensive half. Foul by Josh Pask (West Ham United U21). Attempt missed. Domingos Quina (West Ham United U21) right footed shot from outside the box misses to the left. Goal! Bristol Rovers 1, West Ham United U21 0. Tom Nichols (Bristol Rovers) header from the centre of the box to the bottom left corner. Assisted by Marc Bola.